Funk For Life is back to Kibera! 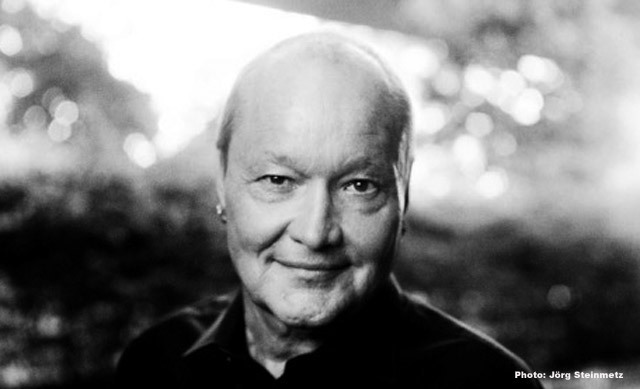 Acclaimed jazz artist, Nils Landgren, first started to support Medecins Sans Frontieres (MSF) in 1994, when he took part in a charity concert in support of the organisation’s work in Rwanda. Since then, his collaboration with MSF has grown, with Nils and his band forming the initiative, Funk for Life, which raises money for MSF through album sales and aims to inspire achievement in children through music. Nils and his band, The Nils Landgren Funk Unit, first travelled to Kibera, which is one of Africa’s largest slums, in 2009. As well as donating musical instruments and teaching children how to play, the band performed at the opening ceremony for a new MSF clinic in the Kenyan slum. They have maintained a link with the community since then, and will return again later this month to perform at a concert timed to coincide with the handover of the clinic from MSF to the Nairobi City County Health Services. From the bottom of my heart – a big THANK YOU for your generous contributions to The Funk For Life project & Wings of Life – it means so much for me and for the ones receiving your generosity. Konzertdirektion & Each and Everyone who has made a contribution in one way or another, Big or small! Together we can shape a better world. Funk For Life in Soweto – Watch the Video! 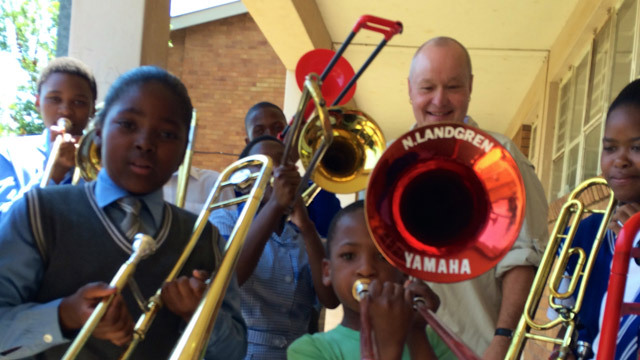 140 Instruments have been distributed to the Magnet Music Schools Program in the South West Township of Johannesburg at Thaba-Jabula Secondary School. This project has been sponsored by Air France/KLM, YAMAHA SA – Global Music Instruments & The Swedish Embassy in South Africa. Do you want to support part of the work we do with the Funk For Life Project? Raising awareness about the TB programs run by MSF/Doctors Without Borders Team in South Africa is part of what we have been doing over the past 2 years. Phumeza Tisile lost her hearing from one of the drugs she took during a harrowing extensively drug-resistant TB treatment. Despite her deafness, she fought to improve DR-TB treatment for thousands of others by becoming DR-TB treatment activist, so that TB sufferers won’t have to lose their hearing just to survive. Today, Phumeza has a once-in-a-lifetime opportunity to get her hearing back with cochlear implants. 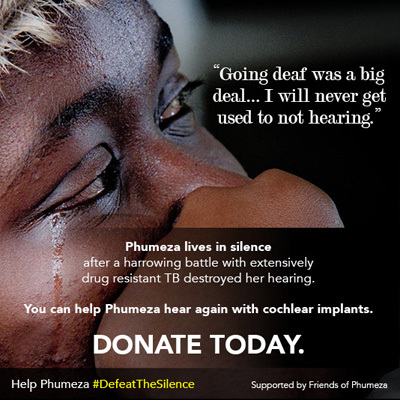 Join ‘Friends of Phumeza’ and help this remarkable young woman get her hearing back. For 2014, The Funk For Life Project ambition is to support Music Programme called “Magnet Music Schools” in Soweto (South West Township) of Johannesburg. As for Khayelitsha last year, the project will aim to raise awareness about life in the township of Soweto, Johannesburg whose most population is living in precarious situation. On top of the music instruments distribution & music workshop in Thaba-Jabula Secondary School in Klipspruit, Soweto (part of the Magnet Music Programme), Funk For Life Project in South Africa will comprised of a video recorded in Johannesburg with Nils Landgren Funk Unit & Concord Nkabinde and a series of short clips composed of interviews, discussions and stories from the township inhabitants, the Funk Unit artists & Concord Nkabinde themselves. Set against a wide selection of footage shot inside Soweto, the music video and short clips portray the objectives of the Funk For Life Project, with recording performance by Nils Landgren and his Funk Unit & Concord Nkabinde in SA as their presence in the township as they teach kids how to play their instruments. The Funk For Life Project is back to South Africa! Next week the Nils Landgren Funk Unit will be returning to South Africa with the Funk For Life project supporting Music Schools in the South West Township (Soweto) of Johannesburg & the work of Medecins Sans Frontieres (Doctors Without Borders) around the world. Nils Landgren Funk Unit & South Africa singer Lira in support to Medecins Sans Frontieres. By purchasing this CD you will contribute in making life for people in Kibera just a little bit easier. 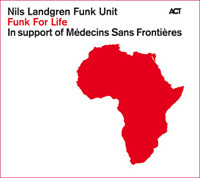 Nils Landgren Funk Unit and ACT will donate 1€ to MSF for every Funk For Life TM album sold.